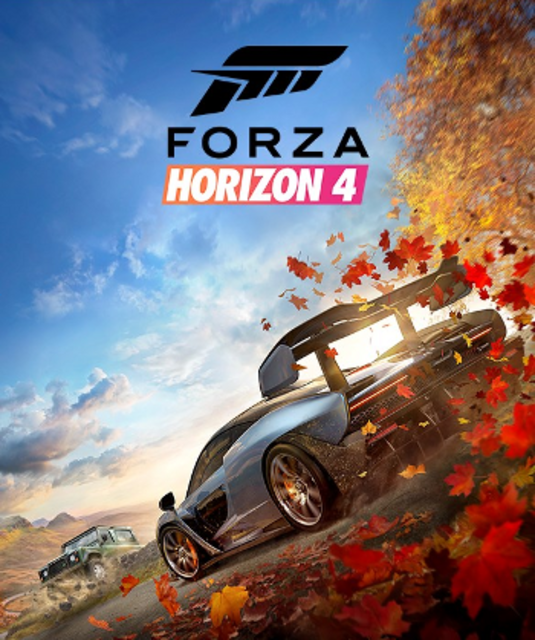 The fourth Forza Horizon takes the festival to the United Kingdom and features full seasonal changes throughout the open world. Forza Horizon 4 is an open-world driving game from Playground Games. It is set in the United Kingdom and builds on most of the previous concepts found in the previous installments of the Horizon side of Microsoft's long-running Forza franchise. Unlike previous entries, Forza Horizon 4 is a connected game, with human players surfacing directly in each other's open worlds instead of the "drivatar" AI found previously. Players can join races started by others, and every hour a Forzathon Live event begins, tasking participating players with completing cooperative challenges. Completing challenges rewards Forzathon Points which are used in the Forzathon Shop to unlock a changing selection of cars and cosmetic items. The game features more dramatic weather effects along with seasons that cycle weekly in order. These seasons bring about changes to the environment that also affect handling. For example, winter necessitates the use of snow tires, and the increased rainfall in the spring means muddier trails that can be more challenging to drift through. As part of the game's 'Horizon Life' narrative, players can customize the appearance of their driver as well as purchase property around the map that serve many of the same functions as the festival site. Online Adventure from Forza Horizon 3 has been replaced with Team Adventure. While structurally similar to Online Adventure, this iteration has players competing on two teams.